When you submit personal information, you understand and agree that Barn Happy may transfer, store, and process your information in any of the countries in which Barn Happy operates, including without limitation, the United States. Barn Happy collects this information in order to record and support your participation in the activities you select. 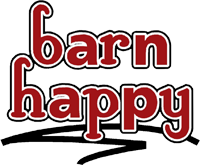 Barn Happy will never sell or share your information with other companies.